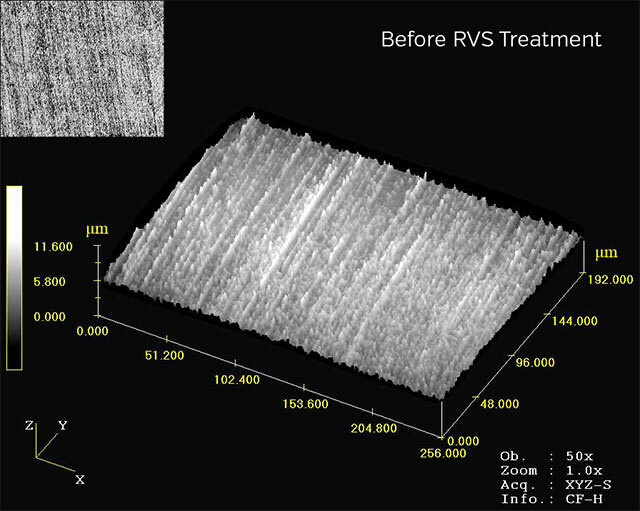 RVS Technology® is a technique that has the capacity to form a Triboceramic surface structure on metal friction contact zones (metal-ceramic), while the mechanism is in its normal productive operation. RVS has unique properties; it protects and prevents the surfaces and mechanisms of wear and tear. 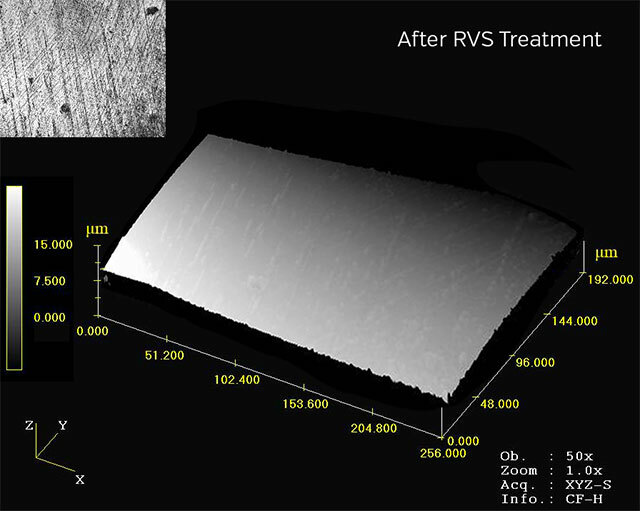 RVS is the only technology that has the ability to restore sliding surfaces, in good case, up to their original shape and tolerances. The new surface structure takes place autoreactively, without disassembling the equipment being restored. In practice this means, without down times and loss of production. The core of the technology is its ability to identify objects and points prone to wear and damage by “locating” the source of the thermal energy (heat) produced by the friction and its capacity to modify these friction surfaces. The process ceases automatically as the required result is obtained. The thickness of the born structure depends on the wear rate and the hardness on the surface pressure during the process. The higher the wear rate of the object to be treated, the more there are shocks and therefore energy for the formation of the Triboceramic surface structure.